Find your passion at the intersection of technology and business. Are you obsessed with the latest technology and constantly looking for the newest gadgets? Do you wonder if someone will pay you to explore new technologies and their impact? Management information systems (MIS) truly lies at the intersection of technology and business, and MIS professionals look at how technology and people relate within an organization. Their positions play a strategic role, especially as technology streamlines much of what we do. They oversee systems and databases, develop new applications, and protect their companies from cyber attacks and other potential risks. 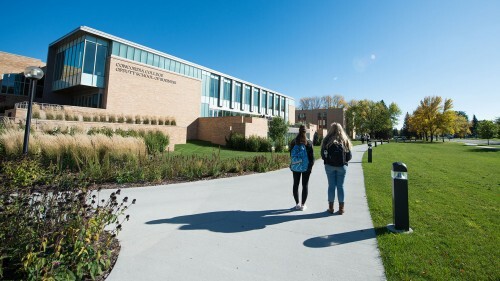 Getting a degree in business with a concentration in management information systems from Concordia allows you to not only understand the business climate but how technology impacts it. You’ll learn database familiarity, programming proficiency and specialized applications. You’ll gain technical computing awareness in systems processes and become proficient in coding and report development.